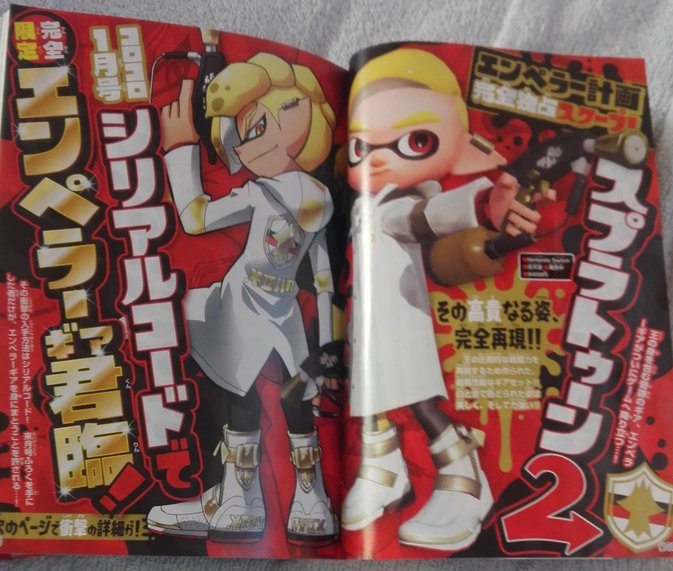 Earlier this year, Splatoon 2 serial codes for the Emperor Gear were included in every copy of the CoroCoro January 2018 edition. To celebrate the 1 millionth copy of the Splatoon comic sold, Emperor Gear serial codes will be returning in the seventh Splatoon CoroCoro Comic, scheduled to launch on November 28, 2018 in Japan. Those who have previously redeemed the Emperor Gear serial code will no longer be able to do so, even if they have a new code from the next distribution.